Writers, stories come from anywhere. While I stared at nightlife along cobblestone of the French Quarter, a man stopped in front of me. He wore no smile, he bore no burden, he only looked at me, nodded his head and kept going. My wife was nowhere to be seen, my fedora, which I began wearing again resting softly against my scalp, pulled at me, as if it were saying follow him. I stumbled along the cobblestone, my shoes scuffing as I nearly fell a few times in pursuit of the man, he turned a corner, I followed. Then, when I nearly gave up, he turned, tipped his top hat and began walking again. 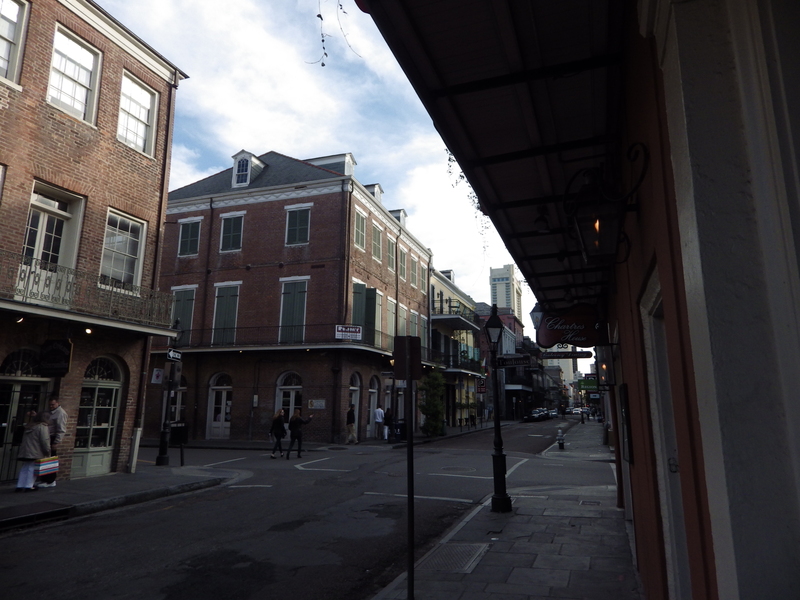 Through alleyways, in front of churches and finally I was on Bourbon Street. The man, the gleam of his top hat catching the light of the gas lamps lining the street, glowed eerily, but I pressed on. He looked at me quizzically, “Young sir, you’ve been chasing me through the quarter, I thought you were mad, or inebriated, but standing next to you, I know you’re neither. What could I do for you?” He said. My eyes must have looked like fire as I stood underneath a gas lamp of the quarter, “I only wish to thank you.” I said. “Thank me?” He said, his large eyebrows crawling into his scalp. “Yes sir, you’ve given me plenty to write about when I return home.” I said. “Than this has been a good trip indeed.” He said and vanished into nothingness. Stories can come from anywhere, remember that. Previous Post Previous post:Writers, put down the controller and write. Next Post Crawling from the Chasm of Doubt and into the Pool of TM.